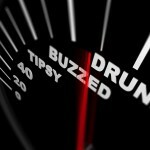 It should be obvious; the best way to avoid being charged with DUI is to not drink if you anticipate driving. But if despite your best efforts, you find yourself being pulled over and suspected of DUI, you should know that breathalyzer tests aren’t entirely reliable, and a good DUI defense lawyer can often discredit breathalyzer results in court. Breathalyzers determine the amount of alcohol in your breath; they measure the amount of evaporated alcohol you push from your lungs while breathing. Chewing gum or mints won’t change the result, but if you’re suspected of or charged with DUI, there are ways to beat a breathalyzer test. For example, you can ask for a blood test instead. Under California’s “implied consent” laws, refusing to take either test will cause you to lose your driving privilege; you automatically consented to at least one alcohol test when you obtained your license. Blood tests provide more accurate readings. If you believe you are innocent, an accurate reading is what you want. If you suspect that you are indeed over the limit, waiting for a healthcare professional to draw your blood gives you a few extra minutes to sober up a little. You might instead choose to take the breath test and let a good DUI defense lawyer challenge it later. In 2012, nearly a thousand DUI convictions in San Francisco were challenged because police there failed to routinely calibrate breathalyzer devices. Breathalyzers are sensitive devices; they must be calibrated and maintained on a regular basis to ensure that readings are accurate. If your attorney can cast doubt on the breathalyzer test results, those results may be deemed inadmissible in court, and your charge may be reduced or even dismissed. 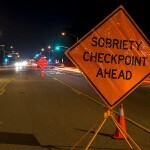 If you’re charged with DUI in southern California, speak with an experienced Orange County DUI defense attorney immediately. 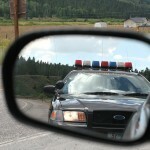 Any DUI charge poses a risk to your future, your freedom, your driving privilege, and your financial resources. Protect your rights and your future; if you’re facing the charge, get help from an experienced Orange County DUI defense attorney promptly.